Archonta, Proc. Natl. Acad. Sci. USA 88: 10317-10321. Adkins, R. M., and Honeycutt, R. L., 1993, A molecular examination of Archontan and Chiropteran monophyly, in: Primates and Their Relatives in Phylogenetic Perspective, R. D. E. MacPhee, ed., Plenum Press, New York, pp. 227-249. Aiello, L. C., and Wheeler, P., 1995, The expensive-tissue hypothesis: The brain and the digestive system in human and primate evolution, Curr. Anthropol. 36: 199-221. Arends, A., Bonaccorso, F. J., and Genoud, M., 1995, Basal rates of metabolism of nectarivorous bats (Phyllostomidae) from a semiarid thorn forest in Venezuela, J. Mammal. 76(3): 947-956. Armstrong, E., 1983, Relative brain size and metabolism in mammals, Science 220: 1302-1304. Armstrong, E., 1985, Relative brain size in monkeys and prosimians, Am. J. Phys. Anthropol. 66: 263-273. Atsalis, S., 1999, Diet of the brown mouse lemur (Microcebus rufus) in Ranomafana National Park, Madagascar, Int. J. Primatol. 20(2): 193-229. Audet, D., and Thomas, D. W., 1997, Facultative hypothermia as a thermoregulatory strategy in the phyllostomid bats, Carollia perspicillata and Sturnira lilium, J. Comp. Physiol.. [B] 167: 146-152. Bartels, W., Law, B. S., and Geiser, F., 1998, Daily torpor and energetics in a tropical mammal, the northern blossom-bat Macroglossus minimus (Megachiroptera), J. Comp. Physiol. [B] 168: 233-239. Bauchot, R., and Stephan, H., 1969, Encephalisation et niveau evolutif chez les simiens, Mammalia 33: 225-275. Baudinette, R. V., Churchill, S. K., Christian, K. A., Nelson, J. E., and Hudson, P. J., 2000, Energy, water balance and the roost microenvironment in three Australian cave-dwelling bats (Microchiroptera), J. Comp. Physiol. [B] 170: 439-446. Beard, K. C., Krishtalka, L., and Stucky, R. K., 1991, First skulls of the early Eocene primate Shoshonius cooperi and the anthropoid-tarsier dichotomy, Nature 349: 64-66. Bell, R. H., 1971, A grazing ecosystem in the Serengeti, Sci. Am. 225: 86-93. Bonner, T. I., Heinemann, R., and Todaro, G. J., 1980, Evolution of DNA sequences has been retarded in Malagasy primates, Nature 286: 470-473. Bradley, S. R., and Hudson, J. W., 1974, Temperature regulation in the tree shrew Tupaiaglis, Comp. Biochem. Physiol. A Mol. Integr. Physiol. 48: 55-60. Burney, D. A., and Ramilisonina, 1999, The Kilopilopitsofy, Kidoky, and Bokyboky: Accounts of strange animals from Belo-sur-mer, Madagascar, and the megafaunal "extinction window," Am. Anthropol. 100(4): 957-966. Cartmill, M., 1992, New views on primate origins, Evol. Anthropol. 1(3): 105-111. Calder, W. A., 1984, Size, Function, and Life History, Harvard University Press, Cambridge. Charles-Dominique, P., 1974, Ecology and feeding behavior of five sympatric lorisids in Gabon, in: Prosimian Biology, R. D. Martin, G. A. Doyle, and A. C. Walker, eds., Duckworth, London, pp. 131-150. Corbin, G. D., and Schmid, J., 1995, Insect secretions determine habitat use pattern by a female lesser mouse lemur (Microcebus murinus), Am. J. Primatol. 37: 317-324. Curtis, D. J., Zaramody, A., and Martin, R. D., 1999, Cathemerality in the mongoose lemur, Eulemur mongoz, Am. J. Primatol. 47: 279-298. DeJong, W. W., and Goodman, M., 1988, Anthropoid affinities of Tarsius supported by lens a-crystallin sequences, J. Hum. Evol. 17: 575-582. Dijan, P., and Green, H., 1991, Involucrin gene at tarsioids and other primates: Alternatives in evolution of segment repeats, Proc. Natl. Acad. Sci. USA 88: 5321-5325. Eisentraut, M., 1961, Beobachtungen über den Wärmehaushalt bei Halbaffen, Biol. Zbl. 80: 319-325. Elgar, M. A., and Harvey, P. H., 1987, Basal metabolic rates in mammals: Allometry, phylogeny and ecology, Funct. Ecol. 1: 25-36. Flacourt, E., de., 1658, Histoire de la Grande Isle Madagascar, Paris. Fleagle, J. G., 1999, Primate Adaptation and Evolution, Academic Press, San Diego. Garbutt, N., 1999, Mammals of Madagascar, Yale University Press, New Haven. Gaulin, S. J. C., 1979, A Jarman/Bell model of primate feeding niches, Hum. Ecol. 7: 1-20. Geiser, F., 1996, Thermoregulation, energy metabolism, and torpor in blossom-bats, Syconycteris australis (Megachiroptera), J. Zool. 239: 583-590. Godfrey, L. R., and Jungers, W. L., 2002, Quaternary fossil lemurs, in: The Primate Fossil Record, W. Hartwig, ed., Cambridge University Press, New York, pp. 97-121. Godfrey, L. R., Jungers, W. L., Reed, K. E., Simons, E. L., and Chatrath, P. S., 1997, Subfossil lemurs: Inferences about past and present primate communities in Madagascar, in: Natural Change and Human Impact in Madagascar, S. M. Goodman and B. D. Patterson, eds., Smithsonian Institution Press, Washington, DC, pp. 218-256. Grand, T. I., 1977, Body weight: Its relation to tissue composition, segment distribution, and motor function, Am. J. Phys. Anthropol. 47(2): 211-239. Harvey, P. H., and Pagel, M. D., 1991, The Comparative Method in Evolutionary Biology, Oxford University Press, Oxford. Hayssen, V., and Lacy, R. C., 1985, Basal metabolic rates in mammals: Taxonomic differences in the allometry of BMR and body mass, Comp. Biochem. Physiol. A Mol. Integr. Physiol. 81: 741-754. Hladik, C. M., Charles-Dominique, P., and Petter, J. J., 1980, Feeding strategies of five nocturnal prosimians in the dry forest of the west coast of Madagascar, in: Nocturnal Malagasy Primates: Ecology, Physiology, and Behavior, P. Dominique, H. M. Cooper, A. Hladik, C. M. Hladik, E. Pages, P. G. Pariente et al., eds., Academic Press, New York, pp. 41-73. Hoffman, M. A., 1983, Energy metabolism, brain size and longevity in mammals, Q.Rev. Biol. 58: 495-512. Holliday, M. A., 1986, Body composition and energy needs during growth, in: Human Growth: A Comprehensive Treatise, F. Falkner and J. M. Tanner, eds., vol. 2, pp. 101-107, Plenum Press, New York. Hosken, D. J., 1997, Thermal biology and metabolism of the greater long-eared bat, Nyctophilus major (Chiroptera: Vespertilionidae), Aust. J. Zool. 45: 145-156. Hosken, D. J., and Withers, P. C., 1997, Temperature regulation and metabolism of an Australian bat, Chalinolobus gouldii (Chiroptera: Vespertilionidae), J. Comp. Physiol.. [B] 167: 71-80. Hosken, D. J., and Withers, P. C., 1999, Metabolic physiology of euthermic and torpid lesser long-eared bats, Nyctophilus geoffroyi (Chiroptera: Vespertilionidae), J. Mammal. 80(1): 42-52. Jarman, P. J., 1974, The social organization of antelope in relation to their ecology, Behaviour 58: 215-267. Jungers, W. L., 1999, Brain size and body size in subfossil Malagasy lemurs, Am. J. Phys. Anthropol. (Supp) 28: 163. Kappeler, P. M., 1996, Causes and consequences of life-history variation among strep-sirhine primates, Am. Nat. 148(5): 868-891. Kappeler, P. M., 2000, Lemur origins: Rafting by groups of hibernators? Folia Primatol. 71: 422-425. Kleiber, M., 1961, The Fire ofLife, Wiley, New York. Köhler, M., and Moya-Sola, S., 1999, A finding of Oligocene primates on the European continent, Proc. Nat. Acad. Sci. USA 96(25): 14664-14667. Koop, B. F., Siemieniak, D., Slightom, J. L., Goodman, M., Dunbar, J., Wright, P. C., and Simons, E. L., 1989a, Tarsius S- and ß-globin genes: Conversions, evolution, and systematic implications, J. Biol.. Chem. 264: 68-79. Koop, B. F., Tagle, D. A., Goodman, M., and Slightom, J. L., 1989b, A molecular view of primate phylogeny and important systematic and evolutionary questions, Mol. Biol. Evol. 6: 580-612. Kurland, J. A., and Pearson, J. D., 1986, Ecological significance of hypometabolism in nonhuman primates: Allometry, adaptation, and deviant diets, Am. J. Phys. Anthropol. 71: 445-457. Le Maho, Y., Goffart, M., Rochas, A., Felbabel, H., and Chatonnet, J., 1981, Thermoregulation in the only nocturnal simian: The night monkey Aotus trivirga-tus, Am. J. Physiol. 240: R156-165. Lemelin, P., 1999, Morphological correlates of substrate use in didelphid marsupials: Implications for primate origins, J. Zool. 247: 165-175. Leonard, W. R., and Robertson, M. L., 1994, Evolutionary perspectives on human nutrition: The influence of brain and body size on diet and metabolism, Am. J. Hum. Biol. 6: 77-88. Liu, F. G. R., and Miyamoto, M. M., 1999, Phylogenetic assessment of molecular and morphological data for Eutherian mammals, Syst. Biol. 48: 54-64. Liu, F. G. R., Miyamoto, M. M., Freire, N. P., Ong, P. Q., Tennant, M. R., Young, T. S. et al., 2001, Molecular and morphological supertrees for eutherian (placental) mammals, Science 291: 1786-1789. Luo, Z. H., Crompton, A. W., and Sun, A. L., 2001, A new mammaliaform from the Early Jurassic and evolution of mammalian characteristics, Science 292: 1535-1540. Martin, R. D., 1973, A review of the behaviour and ecology of the lesser mouse lemur (Microcebus murinus J. F. Miller 1777), in: Comparative Ecology and Behaviour of Primates, R. P. Michael and J. H. Crook, eds., Academic Press, London, pp. 1-68. Martin, R. D., 1981, Relative brain size and metabolic rate in terrestrial vertebrates, Nature 293: 57-60. Martin, R. D., 1989, Size, shape and evolution, in: Evolutionary Studies: A Centenary Celebration of the Life of Julian Huxley, M. Keynes and G. A. Harrison, eds., Macmillan, Hampshire, pp. 96-141. Martin, R. D., 1990, Primate Origins and Evolution: A Phylogenetic Reconstruction, Princeton University Press, Princeton. Martin, R. D., 1996, Scaling of the mammalian brain: The maternal energy hypothesis, News Physiol. Sci. 11: 149-156. McKenna, M. C., 1975, Toward a phylogenetic classification of the mammalia, in: Phylogeny of the Primates, W. P. Luckett and R. S. Szalay, eds., Plenum Press, New York, pp. 21-46. McNab, B. K., 1978, Energetics of arboreal folivores: Physiological problems and ecological consequences of feeding on an ubiquitous food supply, in: The Ecology of Arboreal Folivores, G. G. Montgomery, ed., Smithsonian Institution Press, Washington, DC, pp. 153-162. McNab, B. K., 1980, Food habits, energetics, and the population biology of mammals, Am. Nat. 116(1): 106-124. McNab, B. K., 1986, The influence of food habits on the energetics of eutherian mammals, Ecol. Monogr. 56(1): 1-9. McNab, B. K., 1988, Complications inherent in scaling the basal rate of metabolism in mammals, Q. Rev. Biol. 63(1): 25-54. McNab, B. K., 1994, Resource use and the survival of land and freshwater vertebrates on oceanic islands, Am. Nat. 144(4): 643-660. McNab, B. K., and Wright, P. C., 1987, Temperature regulation and oxygen consumption in the Philippine tarsier Tarsiussyrichta, Physiol. Zool. 60(5): 596-600. Mittermeier, R. A., Tattersall, I., Konstant, W. R., Meyers, D. M., and Mast, R. B., 1994, Lemurs of Madagascar, Conservation International, Washington, DC. Miyamoto, M. M., and Goodman, M., 1990, DNA systematics and evolution of primates, Annu. Rev. Ecol. Syst. 2: 197-220. Morland, H. S., 1993, Seasonal behavioral variation and its relationship to thermoregulation in ruffed lemurs (Varecia variegata variegata), in: Lemur Social Systems and Their Ecological Basis, P. M. Kappeler and J. U. Ganzhorn, eds., Plenum Press, New York, pp. 193-204. Muchlinski, M. N., Snodgrass, J. J., and Terranova, C. J., 2003, Scaling of muscle mass in primates, Am. J. Phys. Anthropol. (Supp.) 36: 155. Müller, E. F., and Jaksche, H., 1980, Thermoregulation, oxygen consumption and evaporative water loss in the thick-tailed bushbaby (Galago crassicaudatus Geoffroy 1812), Z. Säugetierkd. 45: 269-278. Murphy, W. J., Eizirik, E., Johnson, W. E., Zhang, Y. P., Ryder, O. A., and O'Brien, S. J., 2001a, Molecular phylogenetics and the origins of placental mammals. Nature 409:614-618. Murphy, W. J., Eizirik, E., O'Brien, S. J., Madsen, O., Scally, M., Douady, C. J. et al., 2001b, Resolution of the early placental mammal radiation using Bayesian phylogenetics, Science 294: 2348-2351. Nagy, K. A., 1987, Field metabolic rate and food requirement scaling in mammals and birds, Ecol. Monogr. 57: 111-128. Nagy, K. A., Girard, I. A., and Brown, T. K., 1999, Energetics of free-ranging mammals, reptiles, and birds, Annu. Rev. Nutr. 19: 247-277. Napier, J. R., and Napier, P. H., 1994, The Natural History of the Primates, MIT Press, Cambridge. Nowak, R. M., 1991, Walker's Mammals of the World, Johns Hopkins University Press, Baltimore. Oates, J. F., 1984, The niche of the potto, Perodicticuspotto, Int. J. Primatol. 5: 51-61. Pollock, J. I., and Mullin, R. J., 1987, Vitamin C biosynthesis in prosimians: Evidence for the anthropoid affinity of Tarsius, Am. J. Phys. Anthropol. 73: 65-70. Porter, C. A., Sampaio, I., Schneider, H., Schneider, M. P. C., Czelusniak, J., and Goodman, M., 1995, Evidence on primate phylogeny from e-globin gene sequences and flanking regions, J. Mol. Evol. 40: 30-55. Purvis, A., 1995, A composite estimate of primate phylogeny, Philos. Trans. R. Soc. Lond. B Biol. Sci. 346: 405-421. Richard, A. F., 1985, Primates in Nature, W. H. Freeman, New York. Richard, A. F., and Dewar, R. E., 1991, Lemur ecology, Annu. Rev. Ecol. Syst. 22: 145-175. Rose, K. D., 1995, The earliest primates, Evol. Anthropol. 3(5): 159-173. Ross, C., 1992, Basal metabolic rate, body weight and diet in primates: An evaluation of the evidence, Folia Primatol. 58: 7-23. Ross, C., 1994, The craniofacial evidence for anthropoid and tarsier relationships, in: Anthropoid Origins, J. Fleagle and R. E. Kay, eds., Plenum Press, New York, pp. 469-547. Ross, C., 1996, An adaptive explanation for the origin of the Anthropoidea (Primates), Am. J. Primatol. 40: 205-230. Rowe, N., 1996, The Pictorial Guide to Living Primates, Pogonias Press, New York. Sailer, L. D., Gaulin, S. J. C., Boster, J. S., and Kurland, J. A., 1985, Measuring the relationship between dietary quality and body size in primates, Primates 26:14-27. Sargis, E. J., 2002, The postcranial morphology of Ptilocercus lowii (Scandentia, Tupaiidae): An analysis of primatomorphan and volitantian characters, J. Mammal. Evol. 9: 137-160. Shoshani, J., Groves, C. P., Simons, E. L., and Gunnell, G. F., 1996, Primate phy-logeny: Morphological vs. molecular results, Mol. Phylogenet. Evol. 5: 102-154. Simons, E. L., 1997, Lemurs: Old and new, in: Natural Change and Human Impact in Madagascar, S. M. Goodman and B. D. Patterson, eds., Smithsonian Institution Press, Washington, DC, pp. 142-166. Simpson, G. G., 1945, The principles of classification and a classification of the mammals, Bull. Amer. Mus. Nat. Hist. 85: 1-350. Smith, R. J., and Jungers, W. L., 1997, Body mass in comparative primatology, J. Hum. Evol. 32: 523-559. Stahl, W. R., 1967, Scaling of respiratory variables in mammals, J. Appl. Physiol. 22: 453-460. Stanhope, M. J., Bailey, W. J., Czelusniak, J., Goodman, M., Si, J.-S., Nickerman, J. et al., 1993, A molecular view of primate supraordinal relationships from the analysis of both nucleotide and amino acid sequences, in: Primates and Their Relatives in Phylogenetic Perspective, R. D. E. MacPhee, ed., Plenum Press, New York, pp. 251-292. 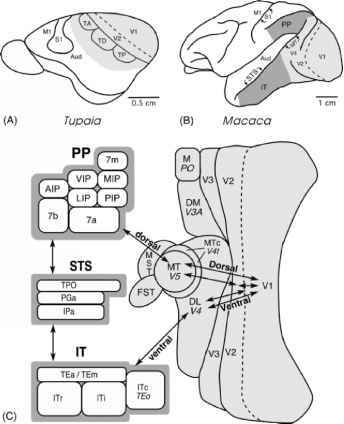 Stephan, H., Frahm, H., and Baron, G., 1981, New and revised data on volumes of brain structures in insectivores and primates, Folia Primatol. 35:1-29. Szalay, F. S., Rosenberger, A. L., and Dagosto, M., 1987, Diagnosis and differentiation of the order Primates, Yearb. Phys. Anthropol. 30: 75-105. Szewczak, J. M., 1997, Matching gas exchange in the bat from flight to torpor, Am. Zool. 37: 92-100. Thompson, S. D., Power, M. L., Rutledge, C. E., Kleiman, D. G., 1994, Energy metabolism and thermoregulation in the golden lion tamarin (Leontopithecus rosalia), Folia Primatol. 63: 131-143.
van Schaik, C. P., and Kappeler, P. M., 1996, The social systems of gregarious lemurs: Lack of convergence with anthropoids due to evolutionary disequilibrium? Ethology 102: 915-941. Wang, L. C., and Wolowyk, M. W., 1988, Torpor in mammals and birds, Can. J. Zool. 16: 133-137. Warren, R. D., and Crompton, R. H., 1996, Lazy leapers: Energetics. Phylogenetic inertia and the locomotor differentiation of the Malagasy primates, in: Biogeographie de Madagascar, W. R. Lourenco, ed., Editions ds l'ORSTOM, Paris, pp. 259-266. Whittow, G. C., and Gould, E., 1976, Body temperature and oxygen consumption of the pentail shrew (Ptilocercus lowii), J. Mammal. 57: 754-756. Young, A. L., Richard, A. F., and Aiello, L. C., 1990, Female dominance and maternal investment in strepsirhine primates, Am. Nat. 135: 473-488.